The color of these flowers is always a crowd pleaser. 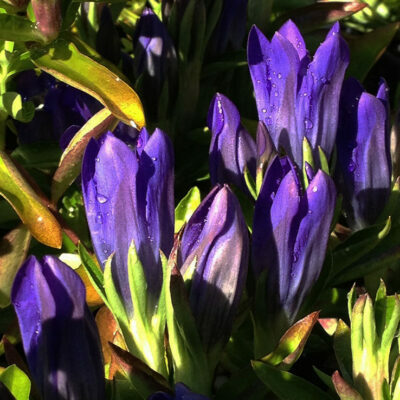 Long blooming, 2″ bright blue-purple flowers July to September shine in the garden. Mature plants are upright and sturdy in the garden growing 18″. It’s just plain pretty! Full-part sun. Average, well-drained soils. Best performance with adequate moisture. Space 18″. Attracts butterflies. Zones 4-7.